There is a guy in this thread from another forum demoing racking from a Speidel from inside a chest freezer using CO2. I use uprights for fermentation and serving. They are easy to get heavy things in and out of. Uprights are the best. But I guess if I used chest freezers, then they would be the best. There are pros and cons to both and care must always be used when lifting. I like the wine cooler suggestion but I'm a poor boy and those are difficult to find used. If everyone is so concerned with the chest freezer vs back thing, why not use wine coolers for each fermenter? Because they're wine coolers, silly. They won't cool beer. I like that. That must be the 60L but according to the spec it shouldn't fit in the freezer. Mine is only 15" wide and the speidel is 15.75". 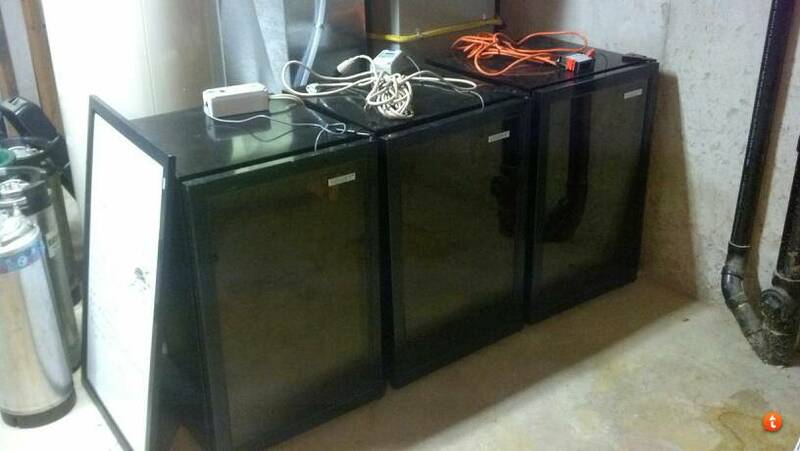 Perhaps all freezers are not exactly the same but that looks like a 7cu- same as mine. It does look like the sides are touching the walls. I was wondering when somebody would pop in with an engine hoist. 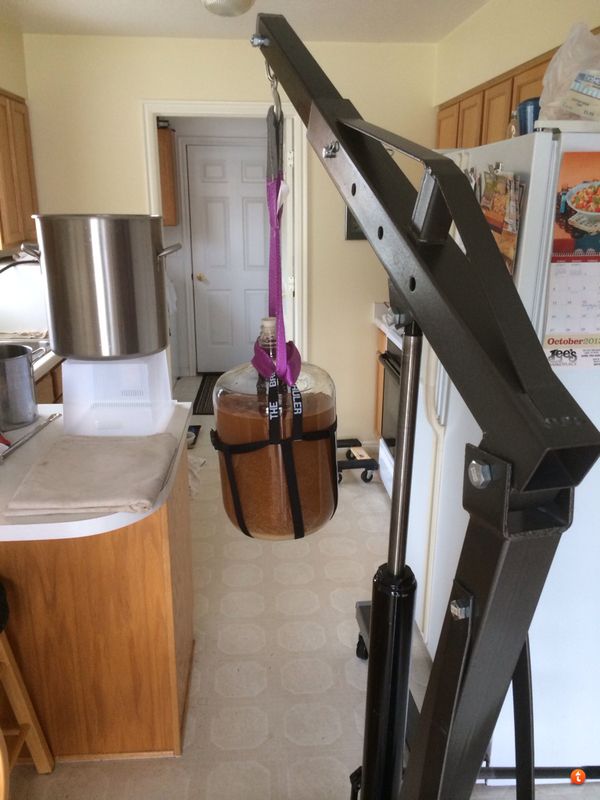 That is the cleanest engine hoist I've ever seen, especially in a kitchen. I'm not even mad, I'm impressed. It must be a big block carboy. Probably has a 4 barrel carburetor. Well, sorry everyone! I must admit, I did Photoshop Miley out of there. But, I am still calling it Wreckin' Ball IPA! I got one of those hoists last year. I use it to lift the mash tun when it's got hot, wet grain in it. Many other uses around the shop where I can't get the tractor loader. Here's my solution to the "I can't lift heavy things" problem. Individual control, don't need to lift over a freezer wall, can easily get down to 35-40 for crashing and they all have pretty tinted glass so I can look at the beers but not a lot of light gets in. That's nice Amanda. Did you score them used?